Preparing for your first race? Perhaps it is an item to cross of your bucket list. Maybe it’s a way to stay in shape. It could be a way to stay active with your family. No matter what your reason is for starting your running journey, it likely will include a race. Races are a great way to celebrate the training miles you have put in! When it comes to your first race, it can be a little overwhelming. 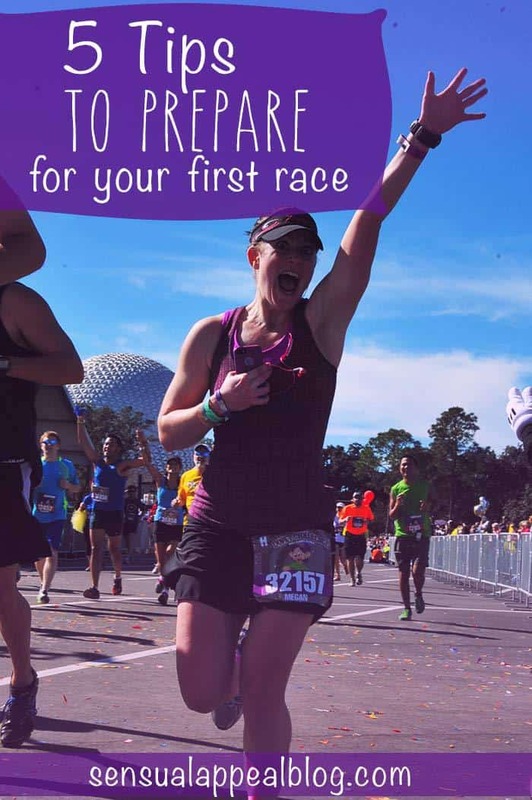 No matter the distance, no matter the size of the event, no matter where the race is – here are some tips to make your first race experience a great one! 1. Do a little research. When it comes to your first race, the nerves can definitely rise. Be prepared for what race day holds by researching your race! Check out the website, look for race recaps or even email the race director. This will help you prepare for how many runners you will encounter, the race course, water stations, parking, etc – meaning less nerves on race day. 2. Leave the time goals behind. Sure, you may have an idea of what time you would like to finish your race in. Good news – since this is your first race, it is an automatic personal record! Leave your time goals behind and take in everything your first race experience includes. You will have plenty of other opportunities to work on that time goal! 3. Nothing new on race day. During your training, you have used certain clothes, shoes, fuel, etc. Use these same items on race day! Don’t try a new pre-race dinner. Don’t drink coffee before the race if you haven’t before. And don’t wear a new outfit or shoes. Stick with what you KNOW works, and you won’t pay for it in the middle of the race! Things happen during a race. Maybe the weather isn’t what you were expecting. Maybe there is a hill midway through the race that seems to last forever. Maybe your legs start to feel sore. Prepare by having a mantra ready. This quote, saying or song lyric is what can push you through and get you to the finish line! You will never get a first race experience again, so take it all in! Read the signs. High five the spectators. Look at the scenery. Take in the excitement. Enjoy every single mile – you have worked hard for this moment! With these tips, your first race is a memory you will cherish forever. No matter how you cross the finish line, it is a great accomplishment and should be celebrated – so be sure to celebrate well! Megan Biller is a lady on the run in Michigan. Three years ago she began running, and since has run multiple 5K, 10K, half marathon and marathon races, including the multi-day runDisney Dopey Challenge. 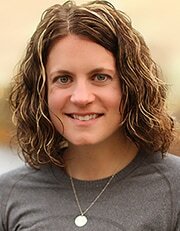 She chronicles her running journey on her blog, Running Toward the Prize and is the author of Magical Miles: The Runner’s Guide to Walt Disney World. Great tips! I think having a mantra while you run is so important, it is what pushes me through each race! Totally! It’s a great tip. Great tips! I think I still am obsessive with #1. And I’ve learned #3 the hard way.